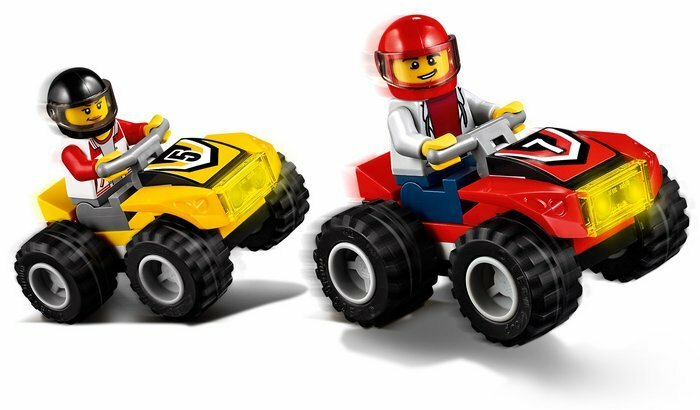 Gear up for the big race! Get ready to race with the LEGO® City ATV Race Team. 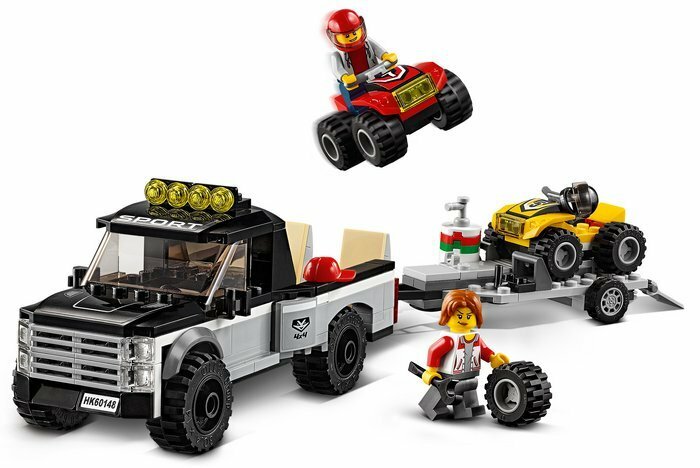 This set features two ATVs, a pickup truck, trailer hitch, pickup bed with adjustable ramp and a detachable trailer with adjustable ramp, plus helmets, fuel barrel and a spare tire. 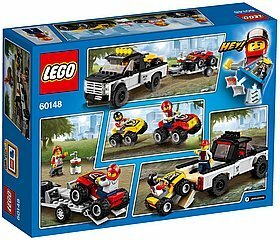 Includes two ATV rider minifigures. 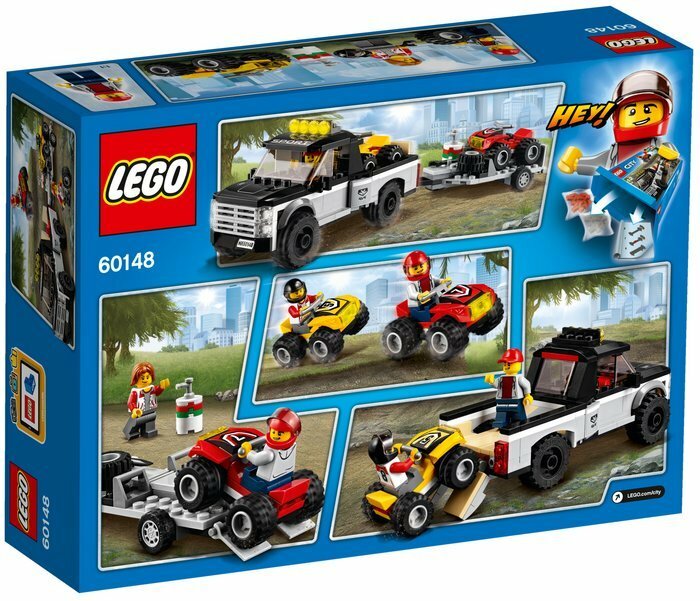 Features a pickup truck, trailer and two ATVs. 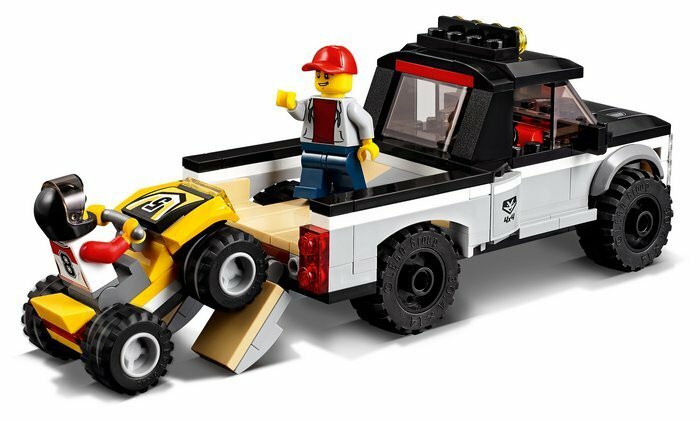 Pickup truck features a pickup bed with room for an ATV, trailer hitch and a ramp. Trailer features space up front for an extra wheel and ramp. Load up the ATVs on the truck and trailer. 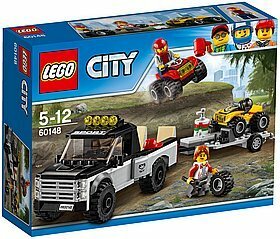 Detach the trailer from the pickup truck and unload the ATVs. 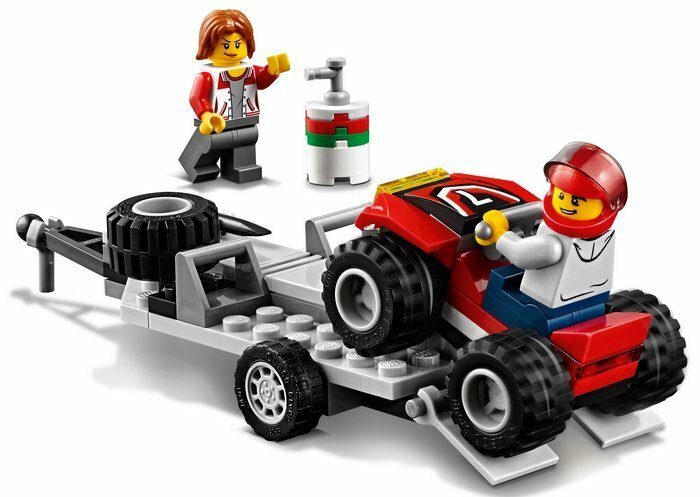 Use the wrench and fuel barrel to prep the ATVs. 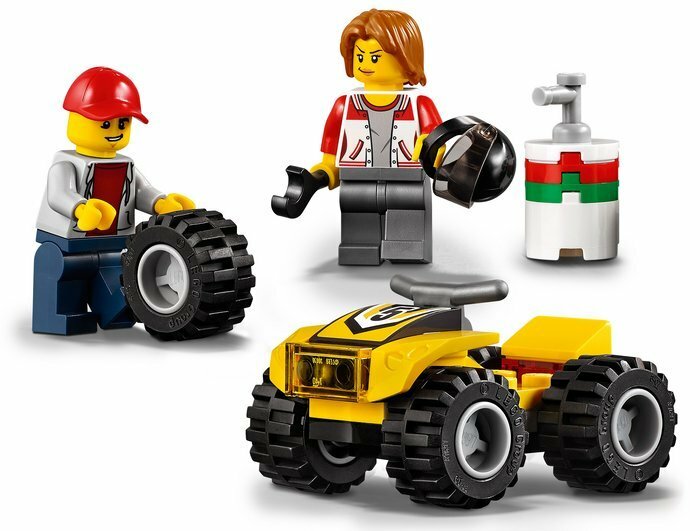 Accessory elements include a wrench, fuel barrel and a spare tire. Pickup truck measures over 2” (7cm) high, 5” (15cm) long and 2” (6cm) wide. Trailer measures over 1” (3cm) high, 5” (14cm) long and 2” (6cm) wide. ATVs each measure over 1” (3cm) high, 1” (5cm) long and 1” (4cm) wide.